Election Day in 1932 was historic, dealing an overwhelming victory to the Democratic presidential candidate Franklin Delano Roosevelt and his party, and ushering in the era of “the New Deal” which was to bring about a revolution in the scope and power of the federal government and its relationship with the American people. But the outcome of the national election also had an immediate effect on local affairs in Tazewell County, where Republican office holders were swept out by the Democratic tidal wave. That included two incumbents: the coroner, Dr. A. E. Allen, and the state’s attorney, Louis P. Dunkelberg, both of whom had sought a third term in office. This photograph of Tazewell County State’s Attorney Louis P. Dunkelberg was printed on the front page of the 17 Sept. 1932 Peoria Journal. 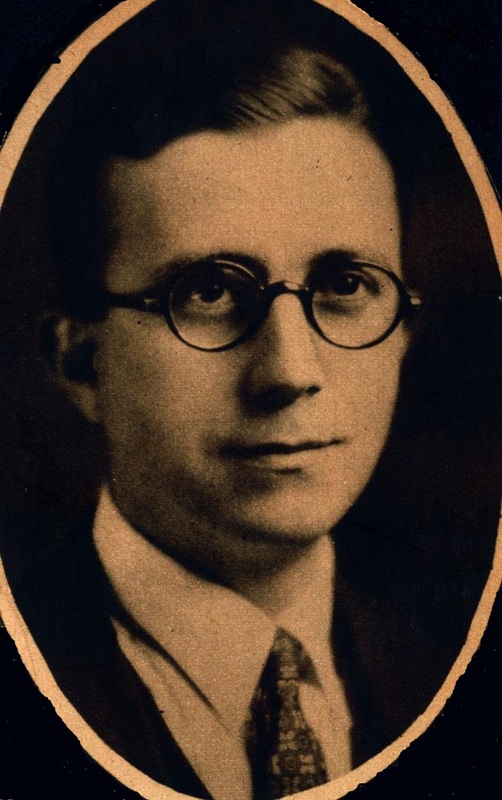 Tazewell County State’s Attorney Louis P. Dunkelberg was defeated in his 1932 reelection bid by Nathan T. Elliff, a 23-year-old attorney from Pekin. This photograph of Elliff was printed in the Pekin Daily Times the day after Election Day in 1932. Despite the Daily Times’ optimism, Dunkelberg’s replacement by someone much less experienced did not necessarily bode well for the prosecution of Tazewell County Sheriff’s Deputies Ernest L. Fleming, Charles O. Skinner and Frank Lee, who had been indicted for manslaughter in the beating death of jail inmate Martin Virant. Unsurprisingly, Elliff’s fellow Democrats Fleming, Skinner and Lee had quietly worked for Dunkelberg’s defeat. Meanwhile the deputies’ boss, Sheriff James J. Crosby, was in a fight for his life – not his political life, however, for he was only in the middle of his four-year term and therefore not up for re-election, but his very life. Stricken down by a severe heart attack two days before Election Day, Crosby was moved to Methodist Hospital in Peoria on Nov. 7. 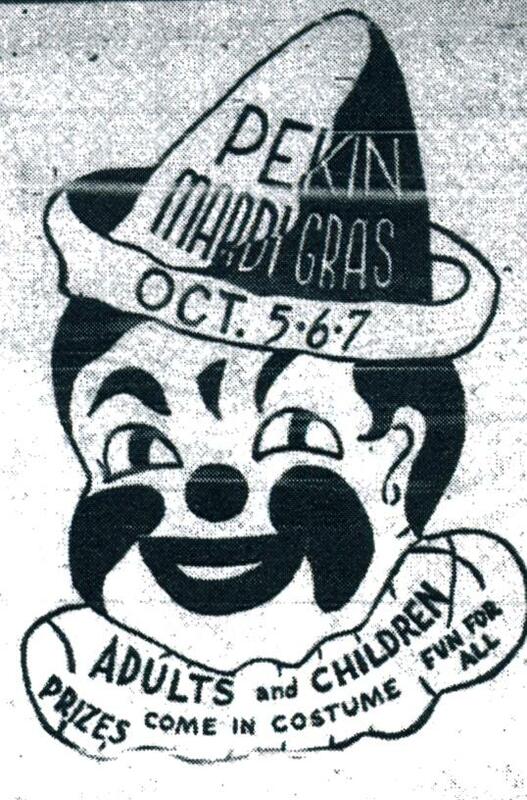 In the follow week, the Pekin Daily Times published almost daily updates on Sheriff Crosby’s health. His condition was very grave, and at one point it was feared that his death was very near, but he rebounded and eventually was able to resume his duties. While Crosby was hospitalized and at death’s door, the sister of Martin Virant, Agnes Franko, filed a wrongful death lawsuit against the sheriff on Thursday, Nov. 10. Franko sought $10,000 in damages, a hefty sum in those days. Then on Saturday, Nov. 12, Circuit Court Judge Joseph E. Daily issued his ruling on the motion seeking a change of venue for the manslaughter trial of Fleming, Skinner and Lee. 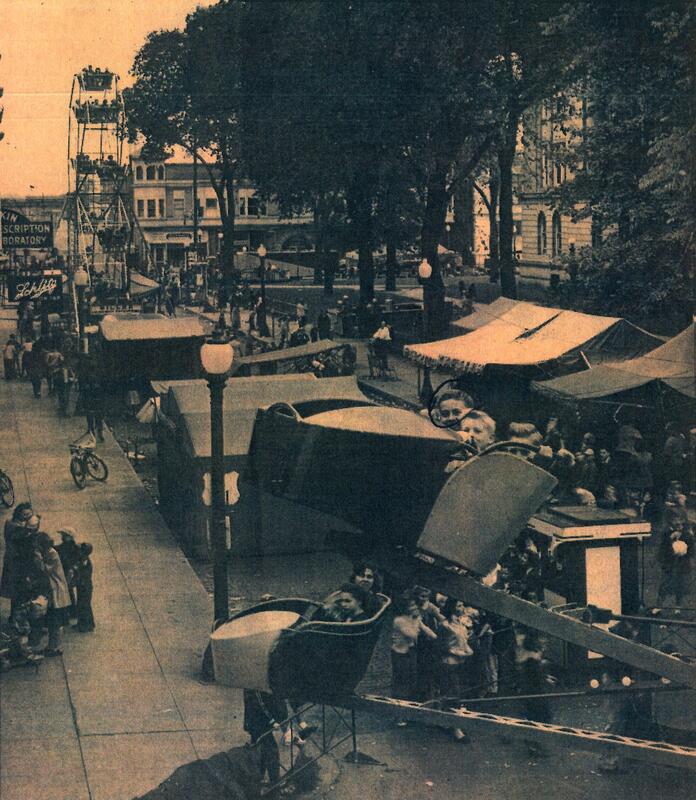 Their attorneys, Jesse Black and William J. Reardon, had argued that the unusual publicity given to this case by local newspapers, especially the Pekin Daily Times, had made it impossible for their clients to obtain a fair trial in Tazewell County. In defense of its news coverage, on Nov. 2 Daily Times publisher F.F. McNaughton had reprinted an editorial from the Peoria Transcript, which declared that if the deputies are guilty of killing Virant, local newspapers “will be glad to endure criticism for having condemned the officers and the system which led to his death. Even so, Judge Daily agreed with attorneys Black and Reardon, announcing that the trial would be moved to Petersburg, county seat of Menard County. “Judge Daily said that he had considered the case very carefully, taking the affidavits which had been presented by counsel for both the state and the defense to his home and going over them leisurely and with care and he was of the opinion that the defendants had established their fear that they might not get a fair and impartial trial in this county. The trial was expected to be delayed until February of 1933, “as the next term of circuit court convenes there the first Monday in that month,” the Daily Times reported on the front page of its edition of Nov. 26, 1932. Next week: The Virant trial begins in Petersburg. Even prior to the manslaughter indictments of Tazewell County Sheriff’s deputies Ernest L. Fleming, Charles O. Skinner and Frank Lee for the “third degree” beating death of jail inmate Martin Virant, the deputies and their attorneys, Jesse Black and W. J. Reardon, had already begun to plot out their defense strategy. Black gave a hint of that strategy when he issued a broadside attack against Tazewell County Coroner Arthur E. Allen in the St. Louis Post-Dispatch in early September, accusing Allen of inflaming the public against his clients and boasting that the deputies would be exonerated. On Oct. 24, 1932, Black and Reardon filed a motion for a change of venue. 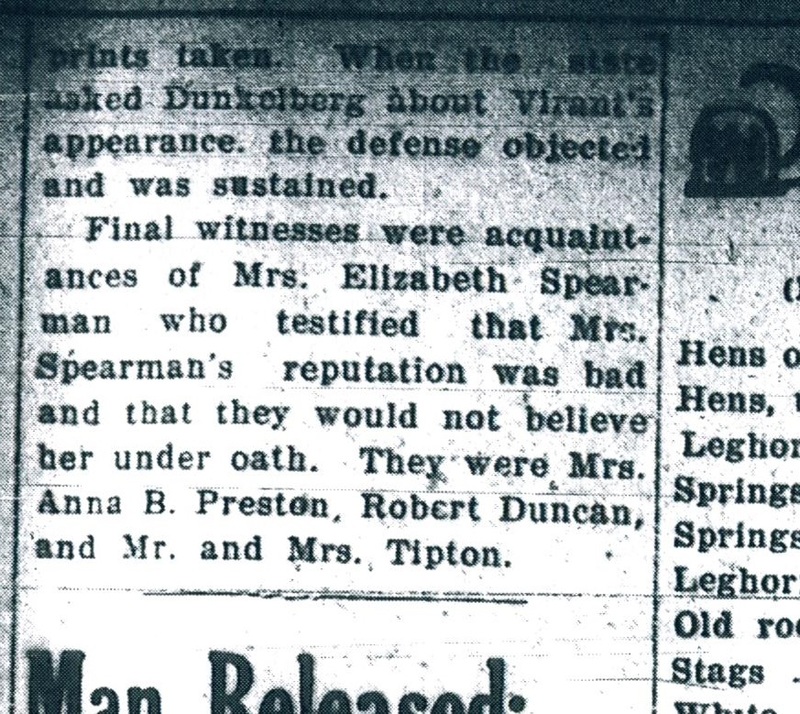 Their motion was expected, because Virant’s murder was one of the most sensational crimes in Tazewell County’s history, and inevitably had dominated the front pages of all the newspapers in the Pekin area for almost the entire month of September 1932. Judge Joseph E. Daily heard arguments for and against the motion at the Tazewell County Courthouse on Oct. 31. Judge Daily took the matter under advisement, saying he would not issue his decision until Nov. 12. Not just the gravity of the case, but also the fast-approaching general election, gave him a good reason to delay ruling on the question. In the autumn of 1932, the Great Depression was in full swing, and incumbent Republican President Herbert Hoover was facing a formidable challenge from Democratic candidate Franklin D. Roosevelt. But while action on the case paused in the courtrooms, the accused deputies continued efforts in their own defense. While their attorneys had charge of legal strategy, the deputies opted for an unorthodox and somewhat cynical angle of counterattack: taking their cause into the political ring, the deputies quietly but determinedly campaigned for the defeat at the polls of Coroner Allen and State’s Attorney Louis Dunkelberg. In the case of Allen, their campaigning for his defeat seems to have been simply out of spite. If Allen were defeated by his Democratic challenger Dr. Nelson A. Wright Jr., it would have little if any effect on their prosecution or on their chances of conviction or acquittal. The electoral defeat of Dunkelberg, however, would very likely deal the prosecution a very serious setback. Then nearing the completion of his second four-year term in office, Dunkelberg was an experienced and accomplished prosecutor, and it was he who had filed the charges in the Virant case and had midwifed the case through the grand jury. His Democratic challenger was Nathan T. Elliff, a young barrister working in the law office of his father, Pekin attorney John T. Elliff. In fact, he was a mere 23 years old and had only been an attorney for four years, passing the bar at the tender age of 19. The contrast between the legal and prosecutorial experience of Dunkelberg and Elliff almost could not have been greater. We may also wonder whether or not, in quietly opposing Dunkelberg’s re-election, the deputies may have wanted to create a feeling of gratitude or debt in the mind of the little experienced and untested Elliff. Did they hope to influence how, or whether, Elliff would proceed with their case? 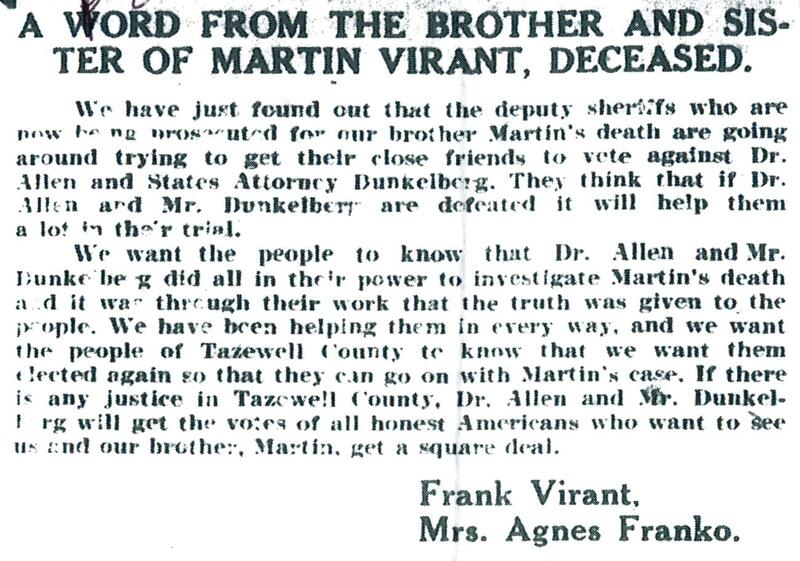 Upon learning that the deputies accused of beating jail inmate Martin Virant to death were working to help defeat the county prosecutor and coroner in the polling booth, Virant’s family published a note in the Pekin Daily Times just before Election Day urging voters to re-elect Louis P. Dunkelberg and Dr. Arthur E. Allen. “We have just found that the deputy sheriffs who are now being prosecuted for our brother Martin’s death are going around trying to get their close friends to vote against Dr. Allen and States Attorney Dunkelberg. They think that if Dr. Allen and Mr. Dunkelberg are defeated it will help them a lot in their trial. Their last-minute appeal, however, was in vain. Although initial election returns looked promising for Allen – the Daily Times on Nov. 7 even incorrectly predicted, “Coroner A. E. Allen Will Be Re-Elected” – nevertheless both he and Dunkelberg were swept away by the Democratic tsunami that swept the Republican Party out of power almost everywhere in the country, from the top of the ticket to the bottom. Since most voters blamed the Republicans for the Great Depression, the accused deputies may have had no need to lend their support to Wright and Elliff – voter antipathy for Republicans that year was so strong that the Democrats probably could have run almost anyone against Allen and Dunkelberg and been assured of victory. Next week: The Virant manslaughter trial is moved. 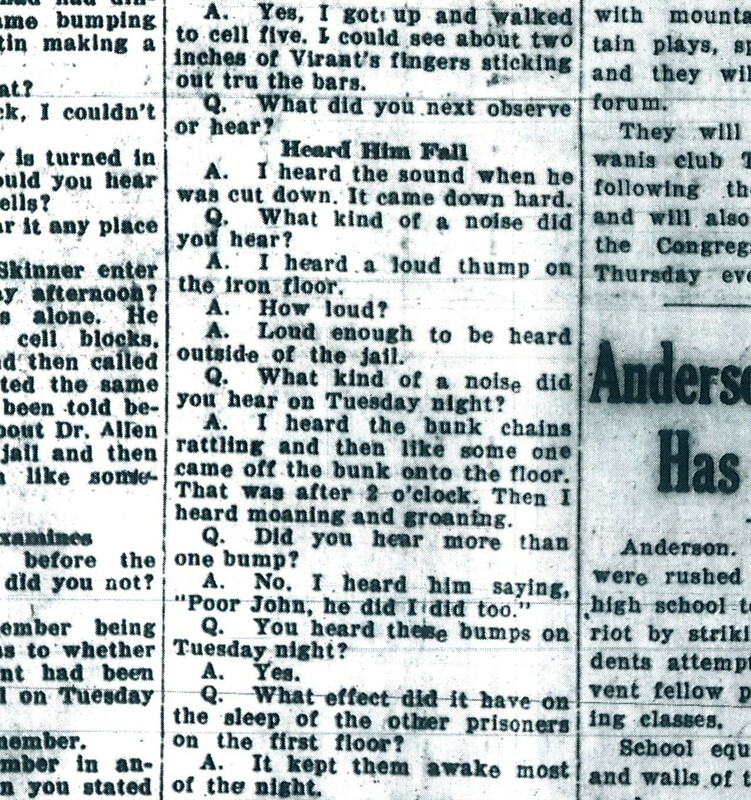 On Thursday, Sept. 15, 1932, a Tazewell County Coroner’s jury concluded its work and issued its verdict in one of the most shocking and sensational deaths in the county’s history. Two days later, the grand jury indicted three men in connection with that death. The grand jury had convened Monday, Sept. 12, and the first case Tazewell County State’s Attorney Louis P. Dunkelberg brought before them was the death of Martin Virant of East Peoria, whose dead body had been hanged in the Tazewell County Jail on Sept. 1 after he had succumbed to severe injuries he had suffered at the hands of county deputies while he was in their custody. The deputies thought Virant witnessed the Aug. 28 murder of Lew Nelan, and tortured Virant because they did not believe his statement that he didn’t find out about Nelan’s murder until the following morning. While the grand jury considered the Virant case, Tazewell County Coroner A. E. Allen conducted a two-day inquest into his death. On the first day of the inquest, the coroner’s jury heard testimony from several witnesses which established that Virant had no injuries when he was taken to jail. Virant’s sister and brother-in-law also told the jury that Virant feared Deputy Charles O. Skinner would beat or kill him when Skinner took him in for “questioning.” At the Nelan inquest, Virant had named Skinner as one of the deputies who beat him. 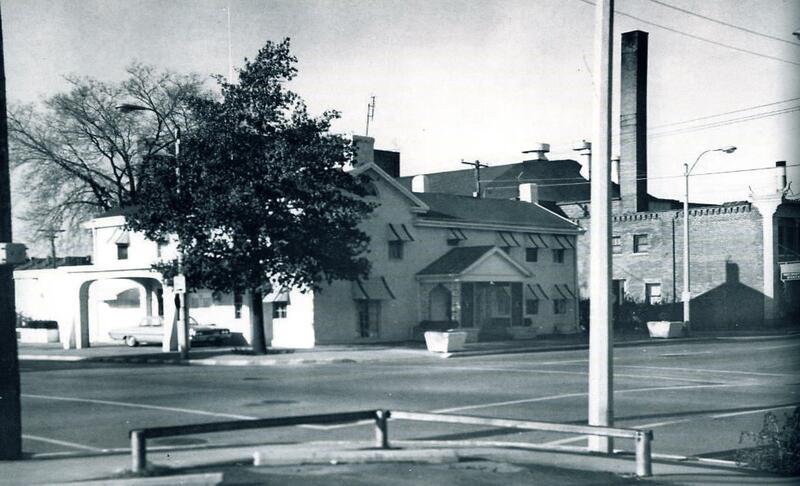 The former Kuecks-Woolsey Funeral Home on Capitol Street (now the local of the Tazewell County Justice Center) is shown in this 1966 photograph. The inquests into the deaths of Lew Nelan and Martin Virant took place here in 1932. Most of the second day of the inquest was taken up with the presentation of the findings of the two Pekin doctors who had conducted two separate autopsies on Virant’s body, and with the testimony of expert Chicago criminologist Dr. William D. McNally, whom Allen had called in to do his own examinations and investigation. All three specialists agreed that Virant did not die of hanging, but was already dead when someone at the jail used Virant’s belt to hang his body in his cell. They determined that Virant died of extensive, severe injuries he had suffered in a beating. Also testifying at the inquest that day was George Genseal, a suspect in the Nelan case who was brought to the county jail a day before Virant (Genseal was later released when it was found he was not involved in Nelan’s death). Genseal said Virant made no complaints of any injuries when Virant first arrived. Skinner later came for Virant and took him away for awhile. Genseal also said Virant told him that all of the deputies on duty “had taken turns” at beating him, “but that Skinner had done most of it.” When Genseal asked him why he wouldn’t let them take his fingerprints, Virant became hysterical. “He said that they had nearly killed him now and if he let them take his fingerprints they would probably kill him altogether,” Genseal said. On Wednesday, according to Genseal, Virant told Deputy Ernest L. Fleming that he wanted a doctor and wanted to phone his sister in Peoria. Neither request was granted. Genseal said he heard no words or sounds from Virant’s cell that night or on Thursday morning. Their verdict was that he died at the jail “from injuries and shock, resulting from external violence inflicted by others than himself, while in the custody of the sheriff of Tazewell county. Next week: Six indictments in September 1932.